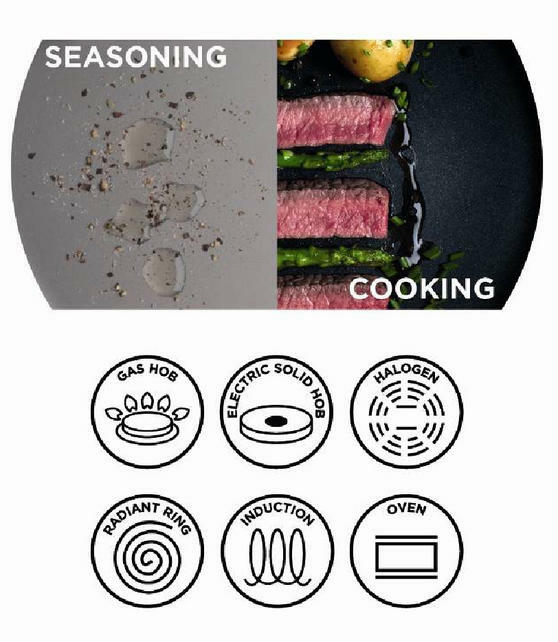 This professional quality Russell Hobbs Infinity frying pan contains a patina coating which seals in the seasoning to improve the quality of your cooking over time - the darker the pan gets, the better your Infinity pan will perform. Made from carbon steel with a pressed stainless steel handle, it is suitable for all hob types and is even safe for use in the oven. After cooking simply wipe the pan, allowing it to build up the non-stick and seasoned coating, improving the pan with each use. Whether you are refreshing your cookware or beginning a collection, start with this fantastic 20 cm Russell Hobbs Infinity frying pan. 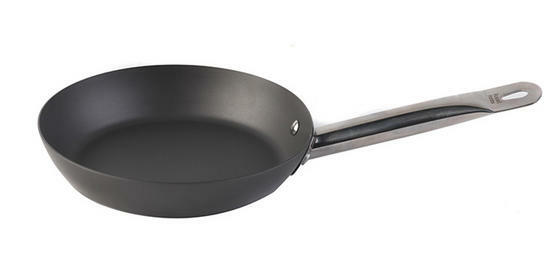 The interior of the frying pan has a patina coating which locks in oil and seasoning to create a non-stick surface for easy cooking. As the coating builds up, the patina will darken and continue to seal in the seasonings, adding flavour to your food while it cooks. Measuring 38 x 20 x 4 cm and made from durable carbon steel with a stainless steel handle, the Infinity pan is wonderfully strong. Suitable for all hob types and oven use, simply use the frying pan to cook on the hob then place it in the oven for a gorgeous finish.